Reméljük egyszer előkerül valami hang/videó anyag erről a koncertről, mert az akusztikus Chili mindig érdekes. A Rolling Stone magazin pedig interjút készített Flea-vel. Red Hot Chili Peppers Bassist, Flea Michael Balzary talks to CNN on his 50th Birthday. October 16th marked Flea’s 50th birthday, and the iconic bass player of the Red Hot Chili Peppers held an event celebrating both his life and his life’s focus on giving back. An army of caterers scurried around his Los Angeles backyard on Tuesday, preparing for a party that was a birthday bash as well as a fundraiser for the Silverlake Conservatory of Music, the nonprofit school Flea co-founded 11 years ago. Flea’s days of rock star excess are clearly over — unless you count the silent auction, where a Banksy drawing of a rat fetched $100,000 and a spirited bidding war erupted between actor Owen Wilson, musician Ben Harper and producer Rick Rubin over a crayon-colored cashmere blanket that ultimately sold for $2,250. Shortly before his guests arrived, Flea reflected on the first half-century of his life — which has been just as colorful as the cashmere blanket that caused such a ruckus during the silent auction. 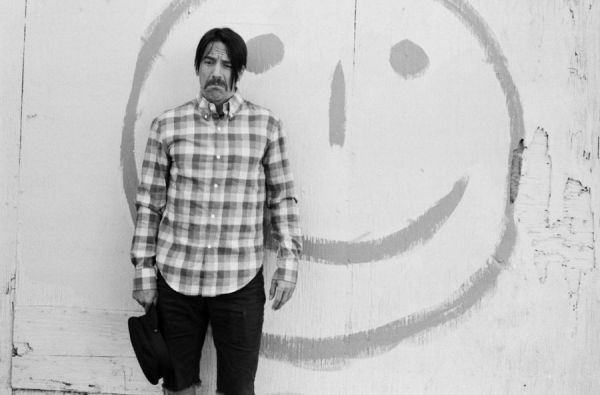 With the Red Hot Chili Peppers, he’s won seven Grammys, pioneered a bold style of rock infused with funk and rap, overcome drug dependency and earned induction into the Rock and Roll Hall of Fame. On his own, Flea’s found purpose and personal satisfaction in giving back. 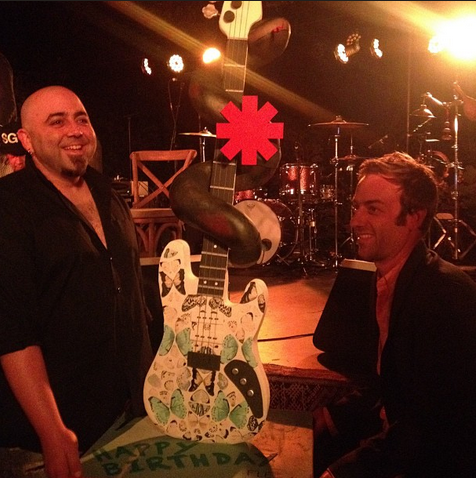 CNN: Happy Birthday, Flea! 50. How does it feel? Flea: Outstanding! I woke up this morning and I just felt so grateful for everything. Grateful to be alive, grateful to be exactly where I am. I give and receive love every day, (and) I feel creatively vibrant. I have some great friends; I feel like I’m capable of giving a lot to the world. And ultimately, that’s what I really care about, is just giving. CNN: Tonight you’re also holding a benefit for the Silverlake Conservatory of Music, which you co-founded 11 years ago. Flea: The Silverlake Conservatory is a nonprofit music school in Los Angeles where we teach music, mostly to kids, but to people of all ages — people who are old, people with beards, all kinds of people. But we teach all the orchestral instruments, all the band instruments, group lessons, private lessons, orchestra, adult choir, children’s choir, all kinds of music groups. And we’re not about fame or celebrity or anything like that. We’re academic, teaching theory and fundamentals of music and technique on a particular instrument. Unfortunately, the public school system has cut the funding to music programs, and there’s a big void, so we’re doing our best to fill it in our community. CNN: What made you decide to bring the annual fundraiser to your own home this year? Flea: Well, I’ve done it before, but this is a special night tonight. We’ve had incredible fine artists donate to our auction tonight — Damien Hirst, Takashi Murakami, Banksy, Matt Monahan, Laura Schnitger, Barry McGee, Ed Ruscha. Some of the great people in the contemporary art world have come out to support our music education. The Red Hot Chili Peppers are playing tonight, Rancid is playing tonight, and it’s all happening in my backyard, and it’s my birthday. You know, 11 years ago we had the opening night for the school party and it was on my birthday. So it’s always an incredible birthday to have. In a minute, I’m going to go shower, put on my suit, and it’s on. CNN: When you woke up this morning, did you reflect back? 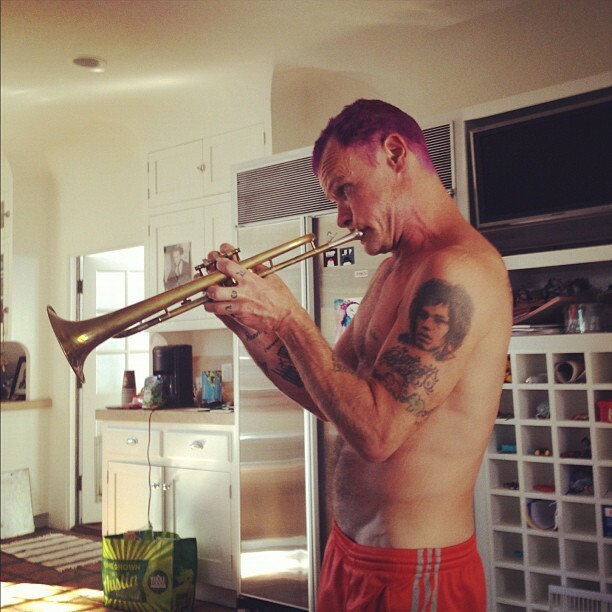 Flea: Yeah, turning 50 is a little bit of a taking stock moment. I feel probably a little dumber. I don’t think I’m as sharp as I was when I was younger, but I’m definitely wiser, and less likely to make gigantic blunders of an intellectual, spiritual, emotional or physical type. Less likely to do something dumb, but I’m not as quick. I feel a little bit wiser, but more than anything the passion for the things that I really care about like playing music, and being kind, and children, and the things I love — sports, books, art — my passion for all these things has deepened. It just feels like there’s an infinite well of greatness to get into. I just feel like I go deeper and deeper into it. I feel like I have a profound spiritual life, as well. CNN: When you were young, did you ever think you would achieve the level of musical success that you’ve had? Flea: No. I’ve always kind of been an in-the-moment kind of person. I don’t think that far in advance or have any idea what’s around the next corner. And I never have. I just kind of try to make the best decisions as they come up. And as life has gone on, I really have faith in that philosophy a lot. I really have faith that each thing that comes up is a gift, and I’m grateful for the opportunity, whether it be a difficult thing or a fun thing. CNN: You’ve been in the Chili Peppers for more than half your life. Do you see yourself continuing with them for eternity? Flea: I love the Chili Peppers, and I would love to. If there’s anything I know, it’s every time you start making plans, you don’t know what’s going to come up next. Anything can happen. 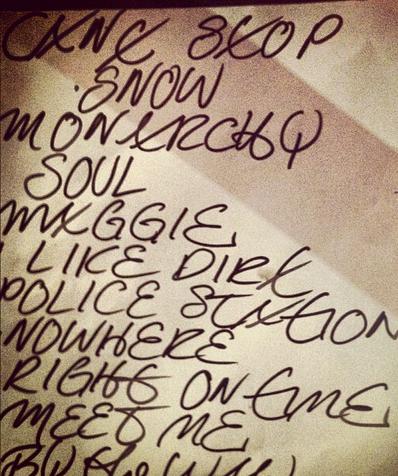 So I love being in the Chili Peppers and it’s my home, and I’ve been doing it for more than half my life. Of course, during the course of doing it, there’s been all kinds of ups and downs, and moments of extreme (positivity), floating on clouds of greatness, and times of just groveling, and misery, and uncertainty, and anger, and love and all those things. Like being in a family. I really can’t predict. But I love being in it for now, and right now, about as far as I’m thinking is getting through this tour that we’re doing, performing at the highest level possible, then hunkering down and writing another record. CNN: You also keep busy with side projects. You performed with Patti Smith a couple of days ago, then you have the Atoms for Peace project. Where is that going? Flea: Wherever it goes, it goes. I’ve been very fortunate to play with some great artists in my life, and Patti is one of them. I love her to death. I’d do anything for her. And if she says, “Flea, come play,” I come. She’s just the greatest. And my thing with Thom (Yorke from Radiohead), Atoms for Peace — Thom, and Nigel (Godrich), and Mauro (Refosco) and Joey (Waronker) — is just fun, and I’m grateful for that, as well. I love those guys. CNN: Looking back on your 50 years, is there anything you’d do differently? CNN: It must be nice to wake up in the morning and think that. Flea: Yeah. Of course. I’ve made a billion mistakes, but I wouldn’t have learned without making them. I needed to make errors, and misbehave, and be an insensitive, thoughtless person to work my hardest on becoming a kind, caring one. CNN: So when you blow out the candles on your birthday cake, what are you going to be wishing for? Flea: A Lakers world championship.